A prior dengue virus infection could protect children from symptomatic Zika virus infection, according to a new study. 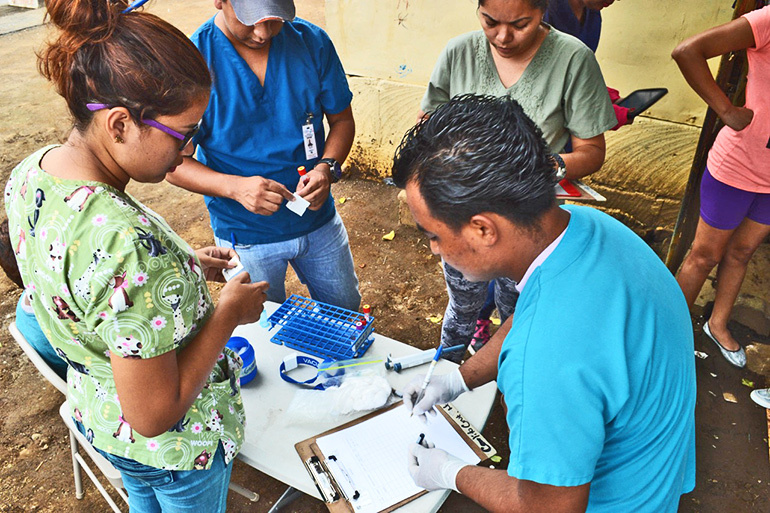 For the study, which appears in PLOS Medicine, researchers used data from the long-standing Pediatric Dengue Cohort Study, established in 2004 in Managua. Of the roughly 3,700 participants (children ages 2-14), 3,027 had known dengue infection histories, with 743 of them having at least one prior dengue infection and 176 with a recent dengue infection. Testing showed that 1,356 of them had had a Zika infection, and of those, 560 had the symptomatic kind. The researchers compared children with a prior dengue infection to those without one to establish if prior dengue infection affects whether the children get a Zika infection and its severity. Among children infected with Zika, those with a prior dengue infection were 38 percent less likely to develop symptomatic Zika than children without prior dengue exposure. While dengue has been endemic to the Americas, health experts didn’t report Zika in the region until 2015. The viruses are very similar: the Aedes aegypti mosquitoes transmit both and they can cause similar symptoms, including fever, rash, and joint and muscle pain. Those who work on mosquito-borne diseases believe there is an immunological interaction between dengue and Zika, says coauthor Eva Harris, of the University of California, Berkeley. Researchers are paying special attention to a phenomenon called “antibody-dependent enhancement,” Harris says. In some cases, people who had a previous dengue infection develop antibodies that, instead of protecting their hosts, make them unable to fight a subsequent infection, enhancing it instead. This was the case for children in the Nicaraguan cohort study. Researchers believe this mechanism might be behind the severe Zika cases that caused neurological issues. “However, in the current study, we did not examine severe Zika outcomes,” Harris says. “We analyzed uncomplicated Zika in our pediatric population and found that prior dengue infection actually protected against disease. This is consistent with our previous studies on the role of dengue antibodies in relation to uncomplicated dengue disease. Gordon says further research is necessary to examine the interaction. “If there are interactions, if it protects you from dengue, that’s great. Or if it helps protect you from being symptomatic, fine,” she says. Additional coauthors from the University of Michigan; the University of California, Berkeley; the Nicaragua Ministry of Health; and the Sustainable Sciences Institute in Managua contributed to the work. The National Institute of Allergy and Infectious Diseases of the National Institutes of Health and the Pediatric Dengue Vaccine Initiative of the Bill and Melinda Gates Foundation funded the work.